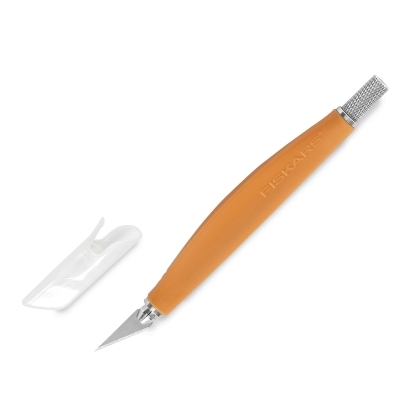 The ergonomic handle of this craft knife provides excellent control, allowing for more accurate cuts. The comfortable soft grip handle means hours of fatigue-free use. This craft knife uses standard #11 replacement blades and features a protective plastic sheath for safe storage and transport.